Scooter’s 227th bar, first visited in 2007. 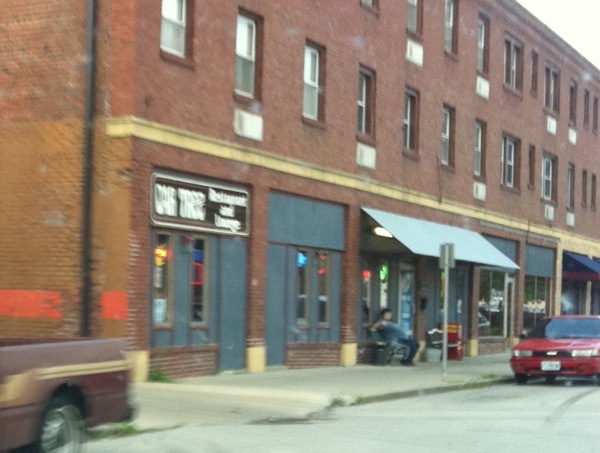 Of all of the dive bars in North Kansas City, this was the one that I was most nervous about visiting. But, as usual, it turned out there was nothing to be worried about, the people here are very friendly. Oak Tree is a pretty typical old-style neighborhood dive bar & grill. It and Helen’s JAD actually make good bookends for the Armour corridor in NKC. Located behind the CVS, this is also the northernmost entry on the Swift Avenue dive bar row. The seating area is divided into two main sections, with the V-ish shaped bar in the center forming the divider. 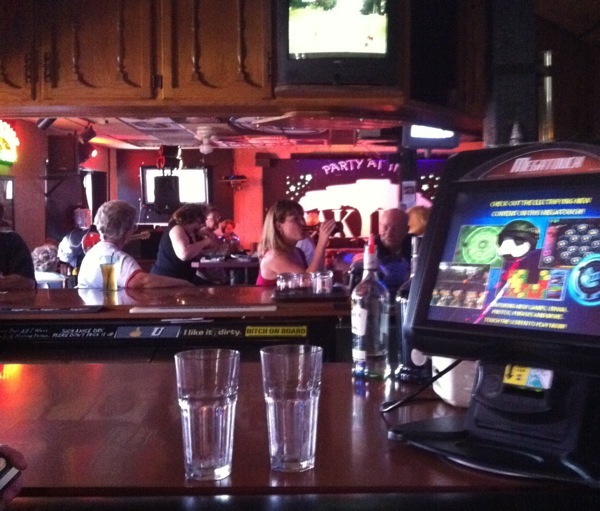 There are pool tables, various bar games, and at the west end a stage area for live entertainment. With friendly bartenders and regulars, this is a good, old-school dive bar to unwind in.